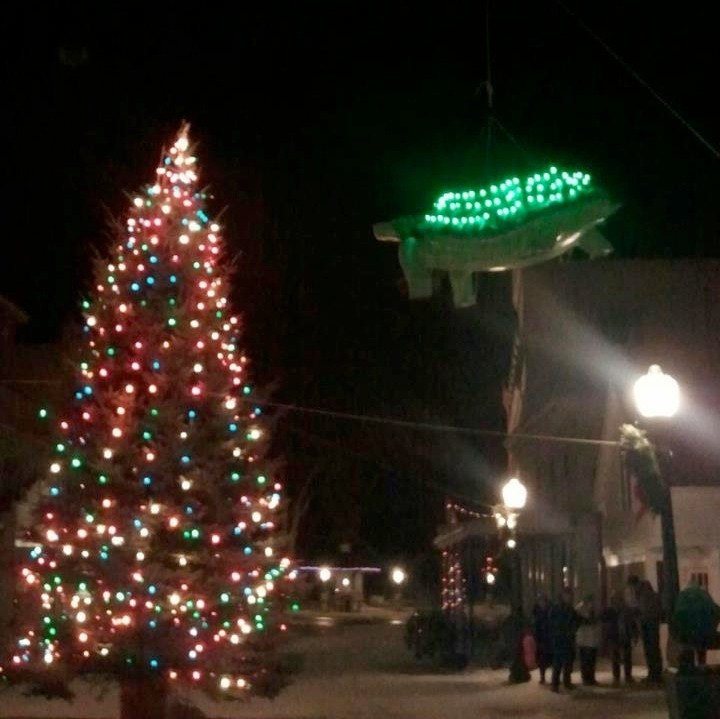 The Great Turtle – a 70 pound green, light-bespangled fiberglass turtle – will be lowered to the ground in front of a celebratory New Year’s Eve crowd near the Lilac Tree Suites and Spa as the last seconds of 2016 tick down to midnight. 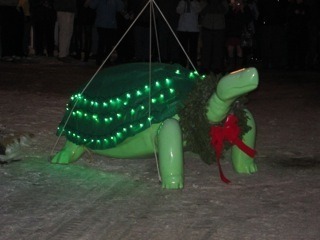 This will be the sixth year the the Great Turtle has dropped to Mackinac Island to welcome in the New Year. The Great Turtle Drop was first held on December 31, 2011 under the guidance of Rich and Marge Lind of the Cottage Inn who wanted to create a festive “Times Square” event with a unique Mackinac Island twist. While residents of Mackinac Island and holiday visitors will be able to witness the Great Turtle Drop in person, followers on the internet should be able to get a glimpse of the celebrations via video posts shortly after the event. The Great Turtle Drop returned for 2016 / 2017 celebrations. MackinacIsland.Net - Mackinac Island Michigan shared a video. Happy new year from Mackinac Island. Thanks for making me smile!! I needed that!!! Happy New Year to all of my island friends! Enjoyed staying on balcony view in Aug.this yr.Great views! Happy New Year to everyone on the Island!!!!! Weve stayed here. Lovely place!! That's awesome. Are these the people who live on the island year long? Turtle drop is on my bucket list!!!!! Missed it again this year😔soon!! Happy New Year, my Island friends!!! The 2015 / 2016 Turtle Drop was canceled. Please enjoy this Mini Turtle Drop via Caddywampus.